There are many Blue Posts around Soho, so your author hopes he has the right one. 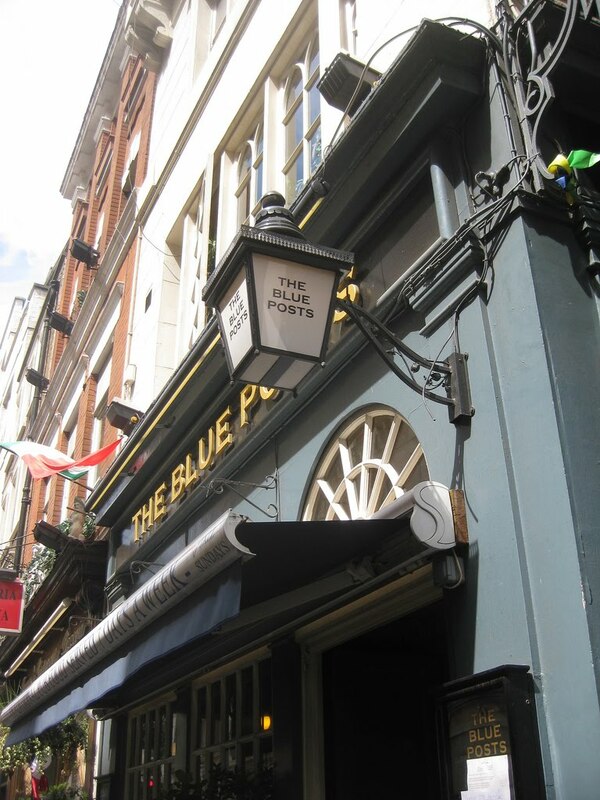 The Blue Posts, at 28 Rupert Street, W1, is a lovely pub, and their live music on Sunday afternoons is very enjoyable. It's usually a bit of a squeeze to get into their downstairs bar, but its worth it if you can find the space to stand, and you have a taste for a couple more pints to finish off the weekend.